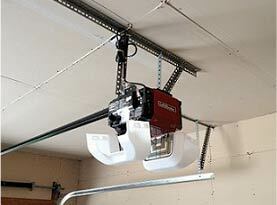 Have you had your garage door open up by itself? This can be a confusing thing for many people. Why would the garage door simply open up by itself? Additionally, it becomes a major security and safety concern. If you have ever had your garage door open up by itself, United Garage Door Service of Henderson will share why a garage door will open or activate on its own and what you can do to prevent your garage door from opening up by itself. 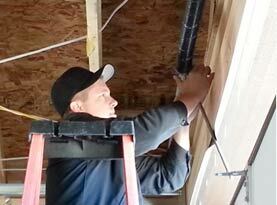 Do you have an older garage door, and has it been activated without your knowledge? This can be due to a major security concern. If you have a garage door opener that is 20 years old or older, your garage door can be activated with various remotes. Older garage doors use duplicated frequencies. Therefore, someone with the same garage door type can use their remote to activate your garage door if they are within range. Sometimes neighbors can run into this problem if they have the same garage door. However, many burglars will try to use this security flaw to gain access to the garage and then your house. 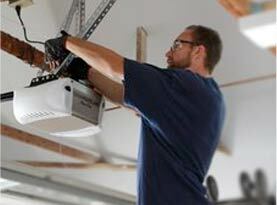 To prevent this major security flaw in your home, it is recommended you have the garage door opener replaced. Another common problem that can cause a garage door to open on its own is a faulty photo eye or mechanical eye sensor. The eye sensor is the garage door’s safety system, if there is a disturbance in the sensor beams it can cause the garage door to open. There are two sensors on each side of the garage door and is located a few inches off the ground. The sensor sends a beam or a signal to each other. If the beam or the sensor is blocked or interrupted, the safety system kicks in which opens the door to prevent the garage door from coming down on a person or a vehicle. If your garage door opens on its own it could be due to a box, or piece of debris that is blocking the sensors. 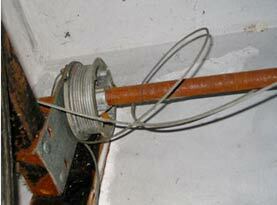 Check the sensors and clear away any clutter or obstructions. If the sensors are misaligned or broken, you will need a garage technician to come and inspect the sensors to see if they needed realignment or replacement. Sometimes a homeowner simply forgot to close the garage door when they exited the vehicle or they held the remote opener down long enough to activate the garage door. This occasionally happens to everyone. To ensure your home security make sure you always watch the garage door fully close. If something is in the way of the sensor while the garage door is closing without you realizing it, it will open back up. When coming home or when leaving make it a habit to watch the garage door close completely before you leave or enter your home. If you need professional garage door inspections, repair, replacement or newly installed door, contact United Garage Door Service of Henderson and schedule our services today.